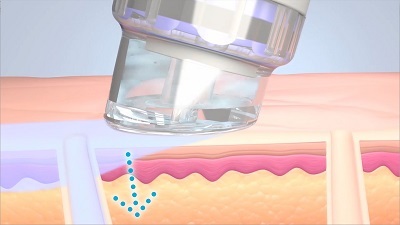 HydraFacial™ MD is a patented method of treatment which supports the medical regeneration of the skin. The system is based on Vortex™ technology and describes the circular suction motion of the fused nozzle that is used during treatment on the various facial zones. The Vortex™ method infuses highly effective serums into the skin, while the dead skin cells are vacuumed away by an angled attachment that cleans out impurities from deep within the pores. The acids used during the treatment increase the success of removing all of the deeply embedded skin deposits. In cases of skin problems such as hyperpigmentation, clogged sebaceous glands, dry skin and advanced signs of aging, HydraFacial™ helps both in the prevention and counteraction. The treatment is also very popular in Hollywood due to its immediate glow effect and is well-suited for use shortly before special occasions. 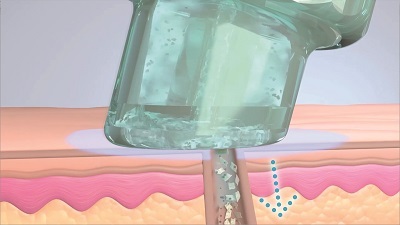 HydraFacial™ is a step-by-step therapeutic method consisting of 4 main phases. Before treatment with the HydraFacial™ system begins, lymph drainage is carried out to enhance the removal of impurities. Every four weeks the skin renews itself by exfoliating old, dead skin cells, and with increasing age, more and more dead skin cells build up so that the skin loses its glow. 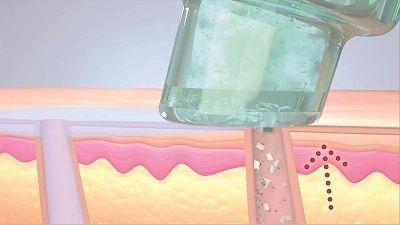 The HydraFacial™ treatment begins by exfoliating these dead skin cells through hydrodermabrasion. After this, a sophisticated peeling compound made up of fruit-based acids is infused into the skin which is specially adapted for each skin type. This ensures the effectiveness of the intensive vacuum cleaning in the next step which removes the loosened deposits and impurities. For sensitive skin types, the acid peeling can be replaced by a gentle enzyme peeling. 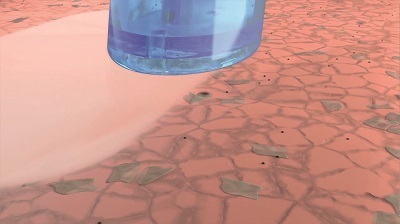 In the last step, highly effective nutrients are infused into the tissue. These can be absorbed easily by the skin since it is now free of deposits and the pores have been opened. Light therapy with LED red or blue light (which stimulates collagen production or fights off acne) is also an option. HydraFacial™ supplies long-lasting moisture to the skin which visibly refines the complexion and is more effective than traditional microdermabrasion or a single fruit acid treatment. What can be achieved with HydraFacial™? The results of a HydraFacial™ are immediately noticeable after the first treatment, with the skin showing a more refined structure. Every additional session, along with the progressive regeneration process of the skin, brings demonstrable improvement in the health of the skin along with a fresh, beautiful glow. HydraFacial™ is the preferred treatment of the stars in Hollywood for adding moisture and buoyancy to the skin. It also cleans pores and softens wrinkles. The complexion regains a more youthful, fresh appearance with a visibly rejuvenated look.